Emotion the poet was born on October 4 as Napoleon Thompson, Jr. in Winston Salem, NC to Angelic Gardner and Napoleon Renato Thompson Sr. He is also known as "Po". Emotion the Poet is from the streets of Winston Salem in North Carolina, but he also got to live some of the country life as well. His original stage name, Emotion the Poet is derived from his poetry stage name "Emotion". His fans relate his style of music to have a poetic vibe with a lyrical expression. Emotion the Poet has established a popular hit called "Statue of liberty" produced in 2012. 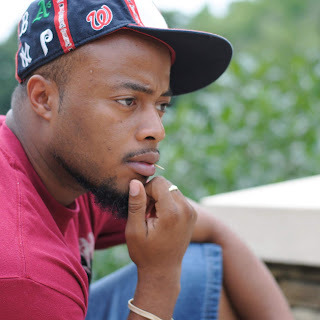 Emotion the poet owns a non-profit for the youth, which he aspires to expand his business to another state and he has written a book called "Narrow Path" and is currently working on a Love Bug chronicle for his business. His motivation for music aspired from his dad whom was in the music business for 25 years. All in all, he aspires to motivate people to believe in themselves and trust God. He quoted "He is always on time".